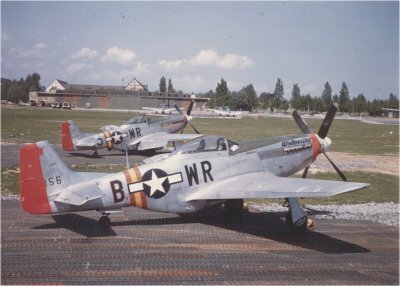 P-51D-25-NA 44-73156 WR-B 'Wolverine' of the 355th FG 354th FS seen here at Schweinfurt, Germany, during Summer 1945. The red-yellow-red fuselage band was applied to all aircraft attached to the occupational forces in Germany as recognition markings (via Peter Randall). Another colourful example, P-51D-25-NA 44-73294 OS-I 'Ole VIII' of the 355th FG 357th FS, assigned to the Squadron CO Major William J. 'Billy' Hovde. This aircraft later was sold to the Italian Air Force (via Peter Randall). 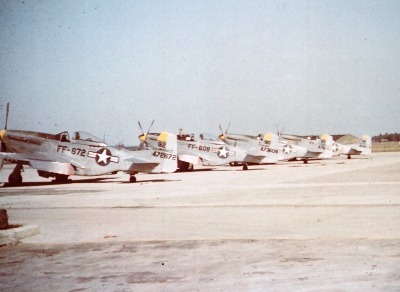 After VJ-Day in August 1945, P-51's also were stationed on various airfields on mainland Japan for occupational duties. 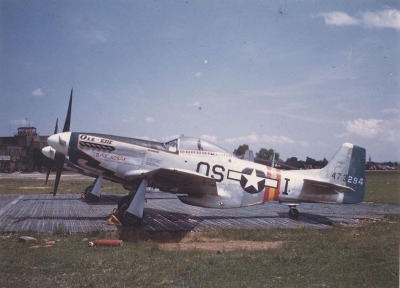 During Summer of 1950, at the outbreak of the Korean War, the USAF was lucky to have some veteran P-51's still available in Japan, which quickly were pressed into service until refurbished aircraft arrived from the U.S.
F-51's of the 35th FIW 41st FIS at Johnson AB in 1948 - most of these aircraft later saw service during the Korean War - see details below (Jack Cook). 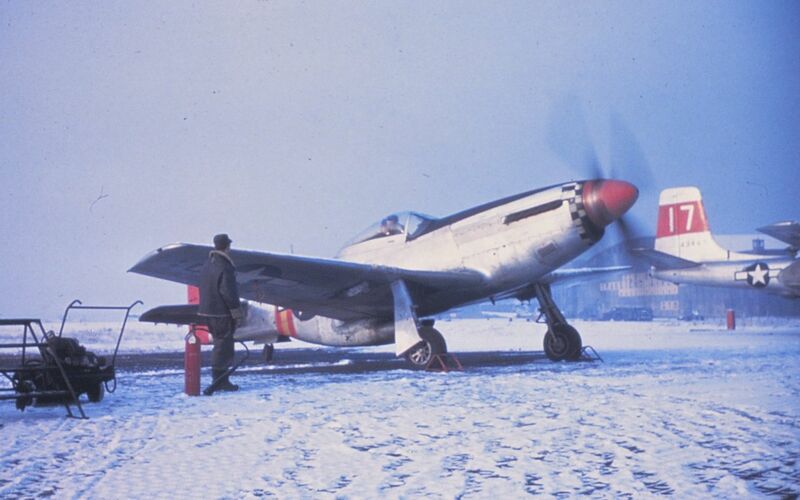 I will continue to add more information and photographs on the immediate post-war use of the P-51 Mustang, mainly in Germany. 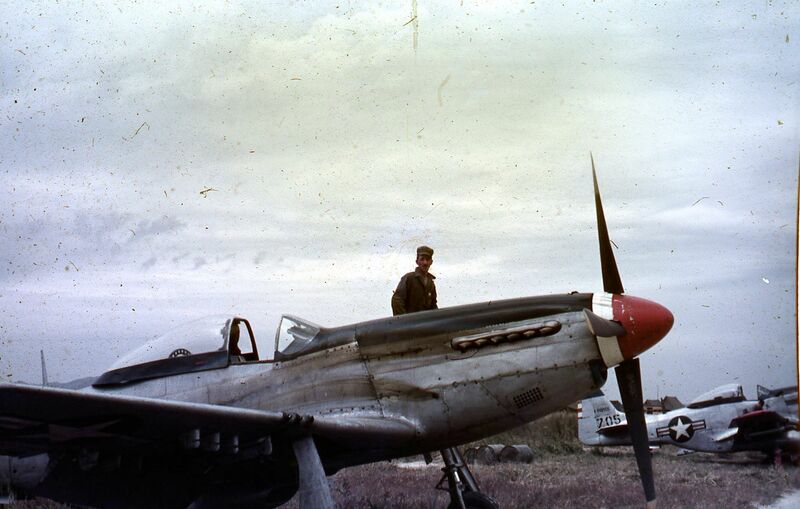 Some of these Mustangs were later purchased by the Swiss Air Force, others went to Sweden and Italy.